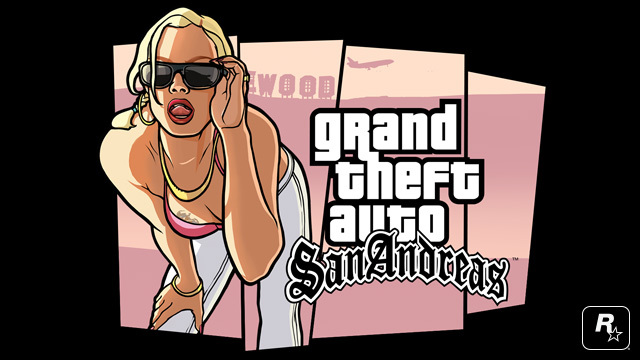 Happy 10th Birthday San Andreas! The San Andreas re-release we reported on the other day is out now on the Xbox Marketplace, featuring 720p resolution, increased draw distance, and achievements. The game costs �2.99 / $ 3.74 / �3,74. This remastered version is not compatible with the older Xbox Originals version, so if you own that one then unfortunately your save games won't transfer across. Look on the bright side though, you'll get to play through this great game again! Today marks the game's 10th anniversary since it was originally released on the PS2 back in 2004. Why not fire it up on whatever platform you may own a copy of the game on for some nostalgia? In related news, the iOS version of San Andreas was updated yesterday with native support added for the new iPhone 6 and 6+ screen sizes.